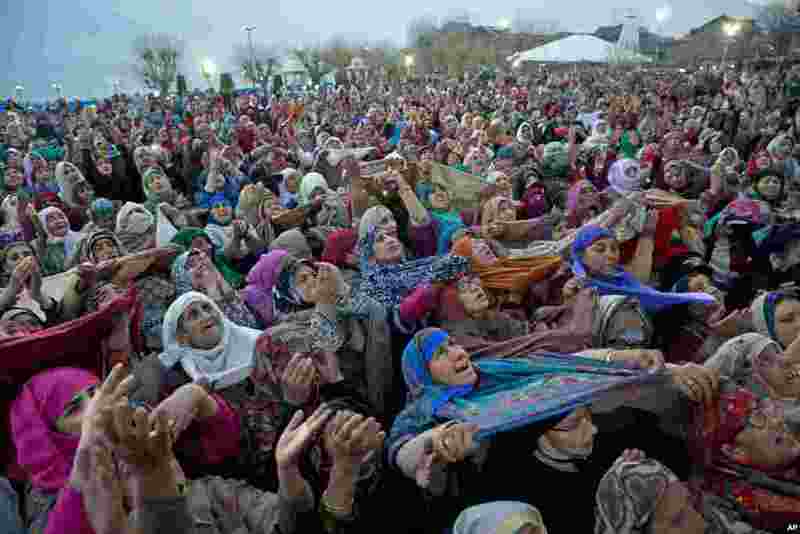 1 Kashmiri Muslims pray as the head priest displays a relic at the Hazratbal shrine on the occasion of Mehraj-u-Alam, believed to mark the ascension of Prophet Muhammad to heaven, in Srinagar Indian-controlled Kashmir. 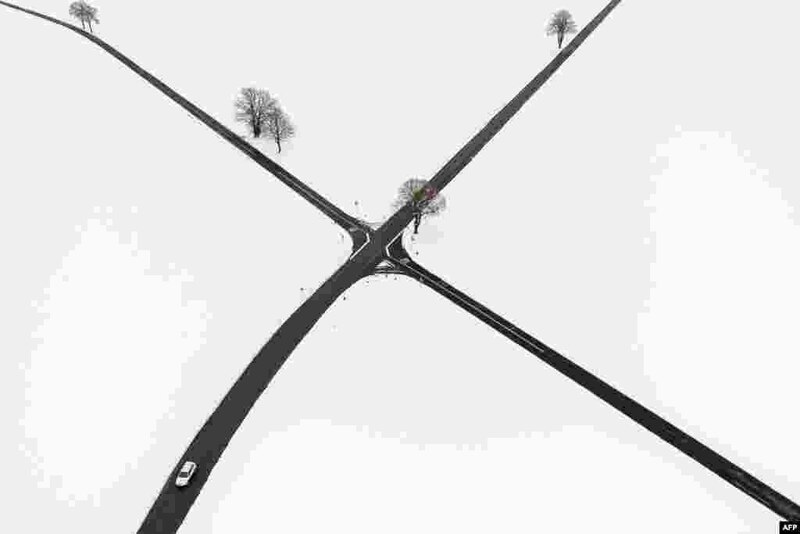 2 A car make its way next to a freshly snow-covered landscape field near Sottens, western Switzerland. 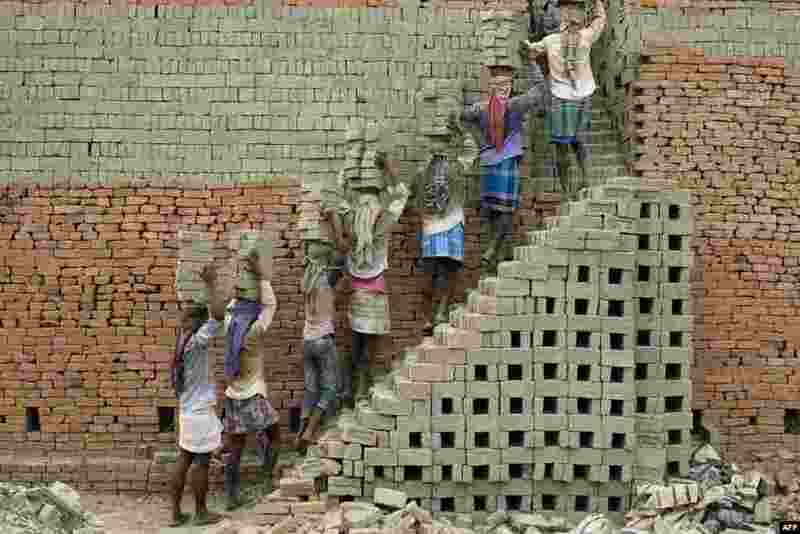 3 Indian laborers carry clay bricks to a brick kiln in Farakka, in the Indian state of West Bengal, April 3, 2019. 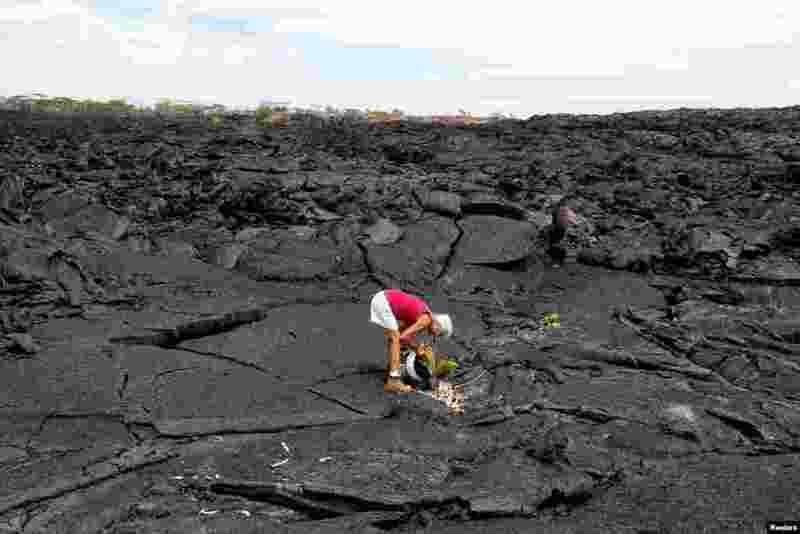 4 Diane Cohen, 64, who was forced to leave her home when the Kilauea Volcano erupted and covered it with lava last summer, plants a coconut tree on her property in Kapoho, in Hawaii.